If you want to practice the healing, contemplative practices of yoga, this book is for you. 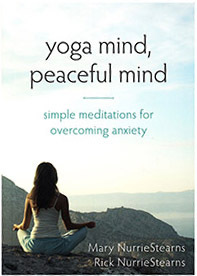 Yoga Mind, Peaceful Mind has 160 powerful, daily meditations that are filled with thoughtful, touching insights. Each of the meditations provides an inspirational quote, a discussion of teachings and instructions from the yoga tradition, and affirmations to remember and live by every day. The simple practices in this book will help you achieve true peace of mind. Copyright © Personal Transformation 1991 - All Rights Reserved.